Happy Friday! In case you aren’t subscribed, I posted a new video to YouTube on Wednesday night! 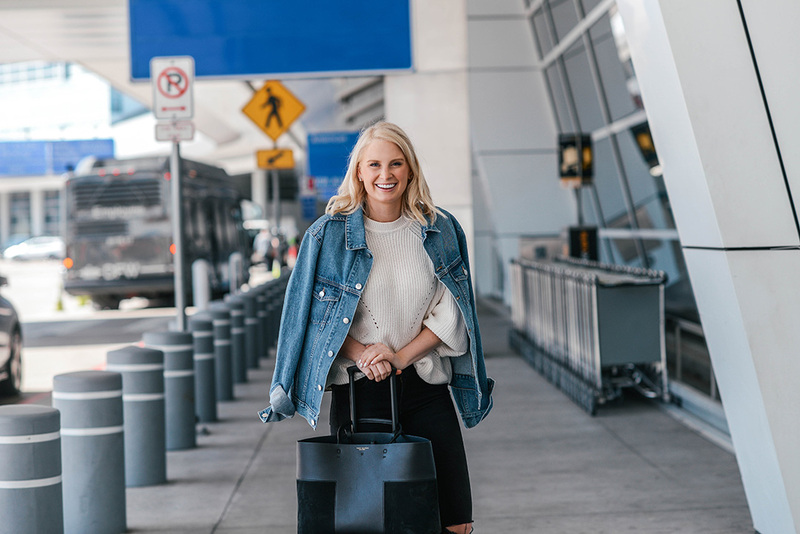 Considering I’m traveling this week, I thought it’d be fun to share some of my favorite packing tips for long haul flights. 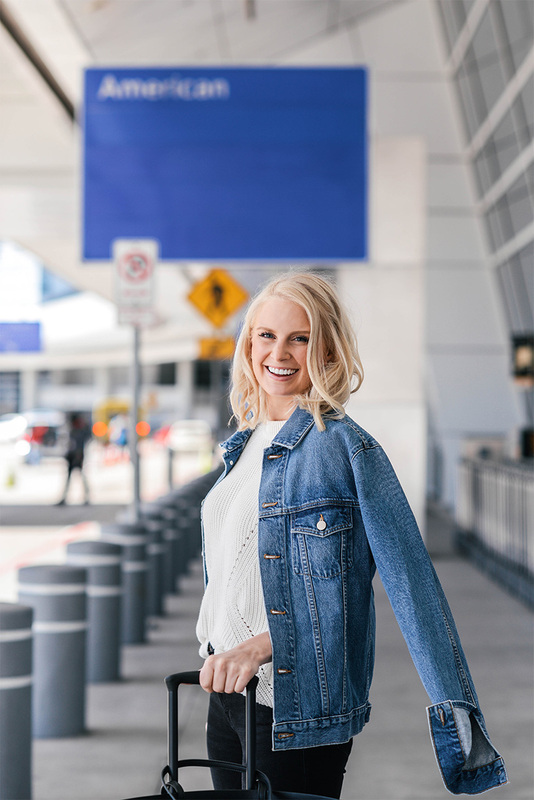 In the video I talk about my favorite ways to save and maximize space in my carry-on and checked bags, how to avoid overage fees because of weight, and some other tips that’ll make the packing process easier for you. Traveling is stressful (at least it can be for me! ), but packing shouldn’t be! Click here to watch, and be sure to subscribe and comment if you like it! 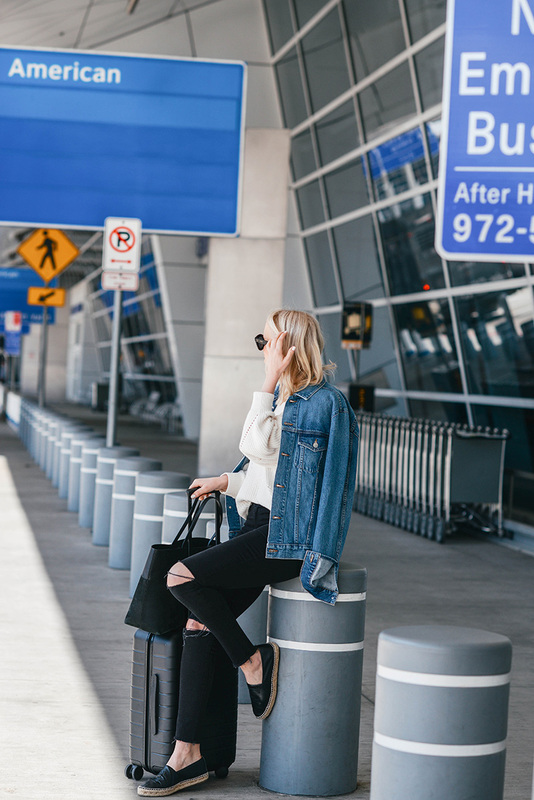 In keeping with the travel theme, I thought you might also be interesting in finding out what I like to wear on overnight/overseas flights. The flight from Dallas to Buenos Aires is 10 1/2 hours, so I like to be comfortable and warm, but I don’t like to look like a slob at the airport. You’ll probably never see me in pajamas or workout clothes, but I do wear comfier versions of my everyday looks! The first thing I consider when choosing my outfit for a flight like this is what my heaviest or bulkiest items are for this trip. Not only because I want to save weight/space in my luggage for more clothing options and souvenirs from my trip, but also because I am always FREEZING on airplanes! I want to wear my heaviest coat/jacket, a sweater and either really stretchy jeans or leggings. They’ll give you a blanket on the plane, but they’re usually very thin and don’t offer a lot of warmth – better to have layers you can remove than be too cold the entire flight! In this particular case, my heaviest items were this jean jacket, this sweater and these espadrilles. 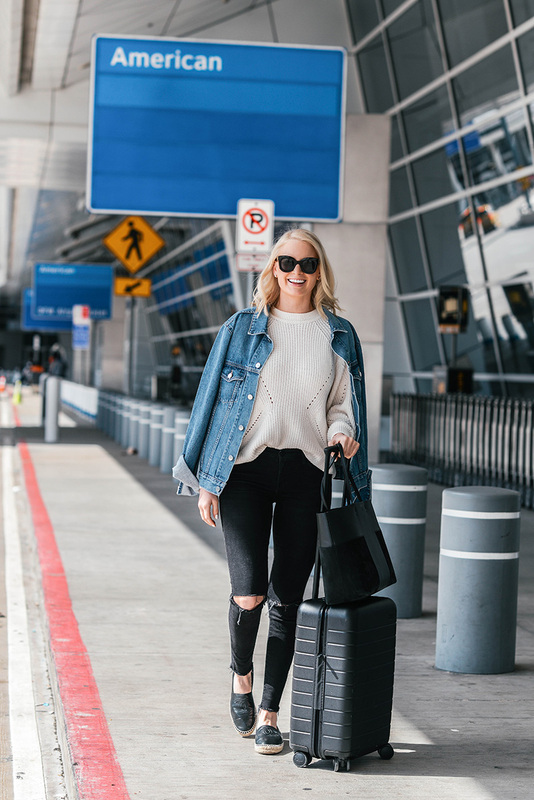 Well, to be honest, the heaviest item was my pair of cowboy boots – those were stowed away in my carry-on though… didn’t want to wear those on the plane! I wasn’t sure if I’d be comfortable enough in the jeans to sleep in, so I brought a pair of black Vince leggings to change into right before I went to sleep on the plane. I also brought a change of underwear to change into the next morning before putting my jeans back on! That may be too much info, but it’s an easy way to feel more fresh when you don’t have access to a shower. Finally, since we’re talking about the flight, here’s a rundown on my in-flight skincare routine. I first remove my makeup with these Simple Skincare wipes. Next, I hop in the bathroom and wash my face with this cleanser. After patting my skin dry, I’ll spray this mist all over my face to balance my skin’s pH levels before applying this moisturizer. After that, I hit the hay! I love your airport style! You do look comfortable but still have style!